This product was added to our database on Friday 15 March 2019. 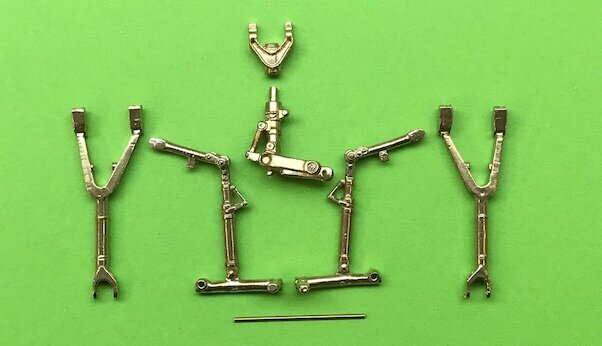 Full set of undercarriage cast in brass, to be used on the Kitty Hawk kits. The parts are a direct replacement for the kit parts. Note you will need to clean up some casting spure gates from the parts and the odd small brass 'inclusions' that may appear through the casting process.